On Tuesday I was speaking on the radio by telephone with my friend Evan Solomon in Ottawa (where he has been since his shabby treatment by the moronocracy that "manages" the CBC). We were speaking of the American cruise missile attack on Syria, of possible scenarios in the Middle East and in U.S.-Russian relations. Evan referred to some comments Justin Trudeau had made about Syria, which were unexceptionable, and asked me what I thought the effect of them would be. Unfortunately, I said, they will have no effect, not because there was anything wrong with what the Prime Minister said, but because Canada has no influence whatever in the world. It is unique in this condition among G7 countries, because it has a monstrously inadequate defence capability and takes no serious initiatives in the Western alliance or in international organizations. Canadians seem to imagine that influence can be had in distant corners of the world just by being virtuous and altruistic and disinterested. That is not how international relations work. The powers that have the money and the applicable military strength have the influence, although those elements may be reinforced if a country or its leader is able to espouse a noble or popular cause with great persuasiveness. This last was the case in the Second World War, where Winston Churchill, Franklin D. Roosevelt, Charles de Gaulle and Adolf Hitler were all, in their different ways, inspiring public speakers who could whip up the enthusiasm of their peoples. Churchill and Roosevelt stirred the masses of the whole world who loved and sought freedom. There are no world leaders now with any appreciable ability to stir world opinion, and influence in different theatres is measured exclusively in military and economic strength, unless there is a colossal moral imbalance between contending parties. Even where such a moral imbalance exists, as in the contest between civilized and terrorism-supporting countries, the advantage is not easily asserted. From 1867 to the First World War, Canada had no foreign policy or foreign ministry. Our only foreign diplomatic post was the high commission in London, even though by the end of that time, three quarters of the activity of the British embassy in Washington was Canadian business. By virtue of our war effort, we were independent signatories of the Treaty of Versailles, though as part of the British Empire, and, accordingly, members of the League of Nations, where our delegate gave every year the same speech about how peaceable and far from danger Canada was, to the mild bemusement of the rest of the League countries. By the Second World War we also had ministers in Washington, Paris and Tokyo, and a department of External Affairs was a section of the prime minister's office. Because of our prodigious war production and Commonwealth air training scheme, and the fact that Canada was the second-most important Allied combatant for a year between the fall of France and the German invasion of the Soviet Union, our position had markedly strengthened and Mackenzie King had a much more intimate and productive relationship with Roosevelt and Churchill than Sir Robert Borden had had in the First World War with the senior Allied leaders David Lloyd George, Georges Clemenceau and Woodrow Wilson. King and Louis St. Laurent played an exemplary post-war part also, unearthing the Gouzenko affair that began the Cold War, and the normally cautious King was ahead of both President Truman and British Prime Minister Attlee (he outlasted in office five U.S. presidents and six British prime ministers) in warning of the Cold War and instantly praised Churchill's famous "Iron Curtain" speech in Fulton, Missouri, in 1946, which briefly horrified Truman. Canada helped found the United Nations, which started out as a serious organization, and NATO, and ran a generous aid plan for Europe parallel to the Marshall plan. We participated with distinction in the Korean War, and Canada (Pearson and St. Laurent) played an important role in internationalizing and de-escalating the Middle East conflict, following the insane enterprise of the Suez Crisis, where the British, French and Israelis attacked Egypt without telling the United States, all while the U.S.S.R. crushed the Hungarian uprising. 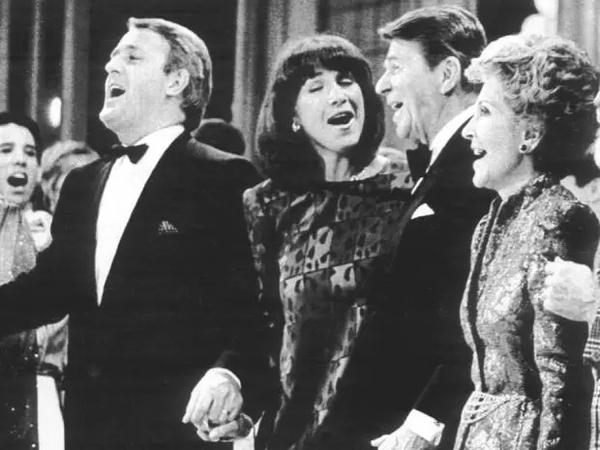 Brian Mulroney, as the Cold War reached its climax, realized that the only way Canada could be influential was to be perceived as having influence with the United States, and he developed that influence by a very well-calibrated relationship with U.S. president Reagan. He strongly supported Reagan's plans to bring the Cold War to a satisfactory end, but was never for an instant the lap-dog of the Americans he was portrayed as by his domestic critics. He disagreed successfully with Reagan over some environmental issues and South Africa, and the approach to the communists in Nicaragua, but, except for Margaret Thatcher, his voice carried more weight in the U.S. capitol that shortly emerged as the centre of a unipolar world than any foreigner. The U.S.S.R. disintegrated, the United States had an unprecedented pre-eminence in the world and Brian Mulroney had great and well-earned prestige outside Canada. He successfully negotiated a free trade agreement, succeeding where Sir Wilfrid Laurier had not, an arrangement that the new U.S. administration is happy to continue with only slight tweaks. Jean Chrétien reverted to the Trudeau policy of keeping his distance from the Americans, allowing the armed forces to run down, and replacing an alliance defence effort that would assure us some influence with the other important countries with a patchy and almost completely ineffectual peacekeeping effort under the banner of the now perversely corrupt and absurd United Nations, a primal scream therapy centre for the world's most egregious despotisms and kleptocracies. Stephen Harper pulled back from the UN, avoided excessive intimacy with the U.S., talked tough in the Middle East and with Russia, but allowed our defence capability to wither so we became the mouse that roared. It was sound policy but with nothing behind it to cause Canada to be taken seriously, and it wasn't. Justin Trudeau appears to focus on good relations with everyone. That will keep us out of trouble, but no one should imagine that it will confer any influence on us. The world admires Canada as a rich, generous, well-governed country, receptive to immigrants, which has only participated in a few wars, all of them just, victorious, and where we acquitted ourselves admirably. But we are almost entirely dependent on the United States for our own defence. When President Roosevelt said at Queen's University in Kingston in 1938 that the U.S. would protect Canada from foreign invasion, Mackenzie King accepted the responsibility of assuring that invaders could not reach the U.S. through Canada. Since the Mulroney era, we have just been freeloaders. If we want to be taken seriously, we have to make a difference in the Western alliance, which the Trump administration has set out to revitalize. As I have written here before, a defence build-up: high-tech, increased numbers, and adult education, is a win-double, an added cubit to our national stature influence (and pride), and the best possible form of public-sector economic stimulus. It is frustrating that successive governments of both major parties have not seen these obvious truths. Strength, not amiable piety, creates national influence.